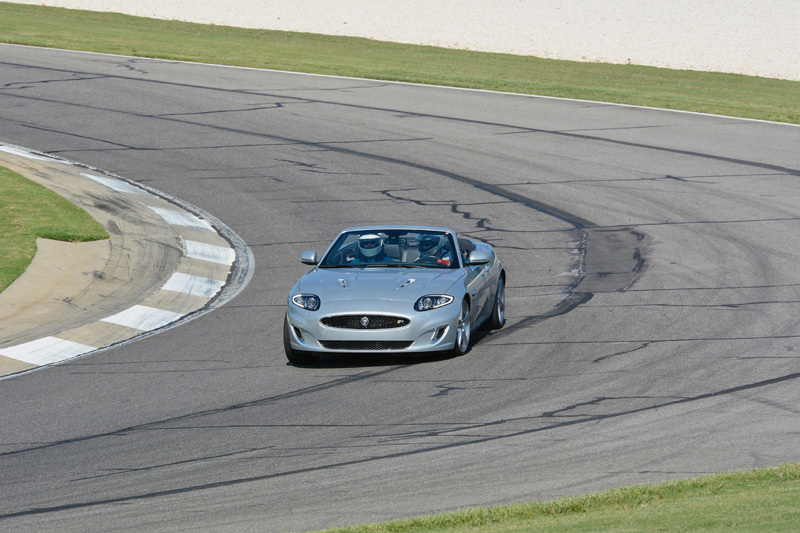 Recently I had the good fortune to attend a track event at Barber Motorsports Park near Birmingham, Alabama. This is the 3rd time I’ve been to Barber and I love the venue. Barber is very “technical” as it was originally designed to challenge motorcyclists. It has a number of turns without any really long straights. Perfect for my Porsche 944 track car! There is enough elevation change to keep things interesting, with the Museum turn being a close surrogate to the corkscrew at Laguna Seca. 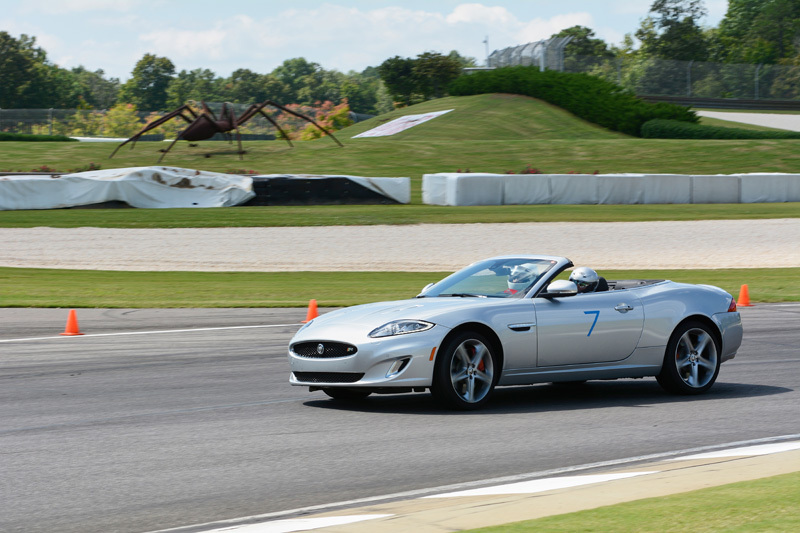 The event was organized by Chin Motorsports, who as usual did a great job with plenty of track time being available. Porsches and BMWs always seem to be well represented at these events. Jaguars not so much. So I was delighted to see a silver XKR convertible in attendance. On Sunday, I caught up with the driver(s), as the car was being shared by the “team” of AmyMarie Harmon and Roy Hutcheson. 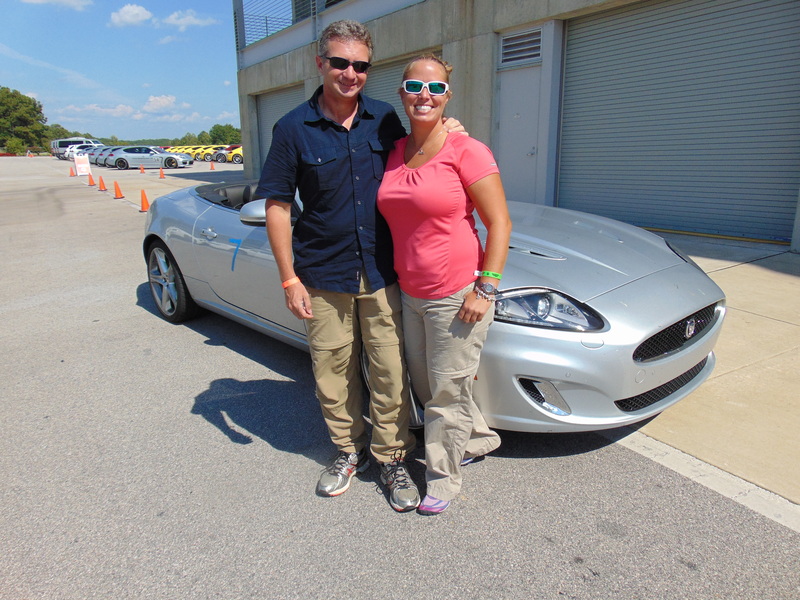 Roy had recently purchased the 2012 XKR, which is the supercharged version of Jaguars two seater grand touring car, with over 500 hp on tap. 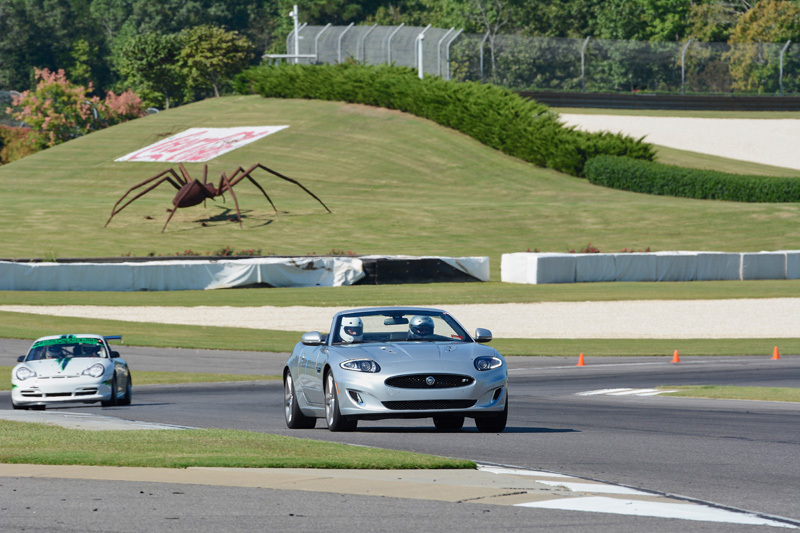 He has had previous track time in a Mustang at Road Atlanta and Savannah. He has also attended the Porsche Driving School. 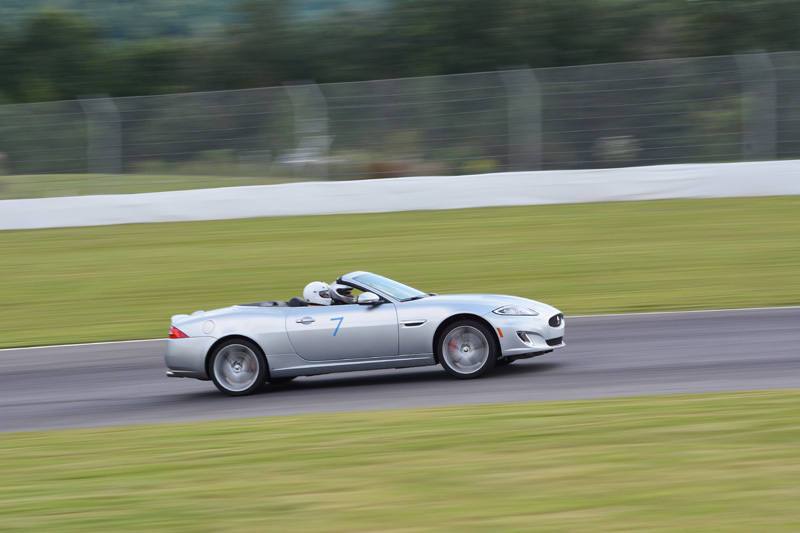 He was very impressed with the XKR, noting that although it is a heavy car it has plenty of get up and go due to its engine package and was also very stable and sure-footed through the corners. 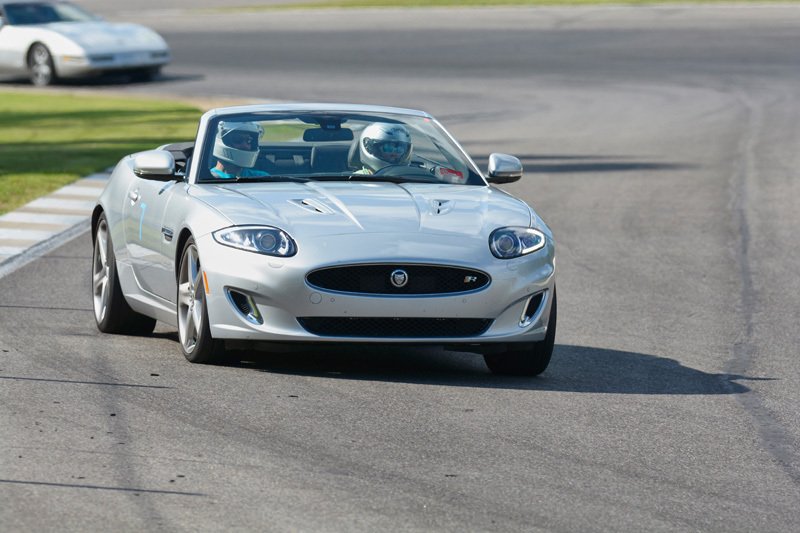 His XKR can be switched from a Normal mode to a Dynamic mode, with tightens up shifting and suspension response, as well as opening up the exhaust for a more throaty sound. Roy had purchased track insurance thru Lockton Motorsports. This gave Roy peace of mind to test out the limits of the car. He said that he had an incident previously with his Mustang and that Lockton had been good in handling the claims settlement. Roy was very impressed with the Chin experience, finding it to be a good value. He was able to share the car with Amy and still get enough track time to wear him out. AmyMarie, an emergency room trauma nurse at a Level 1 facility, may be a little bit of an adrenalin junkie, as her other hobbies are off roading, Harley riding, sailing, and diving. This was her first track event and she found it to be “amazing”. She found her instructor to be great and everyone at the event to be very nice. As we all have experienced, she found that when she was in the car the only thing you think about is what’s in front of you and, being a novice, what’s behind you. She is ready to go back and do it again. The following track photos are courtesy of Albert Hicks aka PhotoAl.